This lamp revives the famous Escargot model designed by Le Corbusier in 1954. Nemo-Cassina Lighting is producing this table lamp in a limited edition, maintaining all of its stylistic essence and original allure. 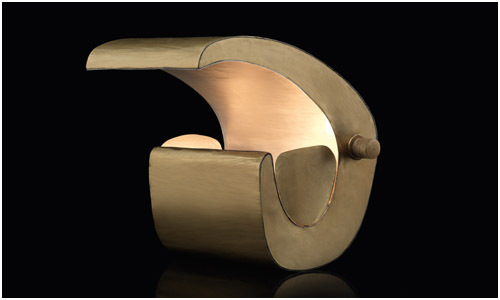 The model presents fluid lines recalling the shape of a snail, with a golden exterior and a silvery interior. The etched brass-plated body conveys the idea of solidity and compactness, whereas its light creates an ethereal aura. Materials and finishes: etched brass-plated body. Golden exterior, silver-plated interior.